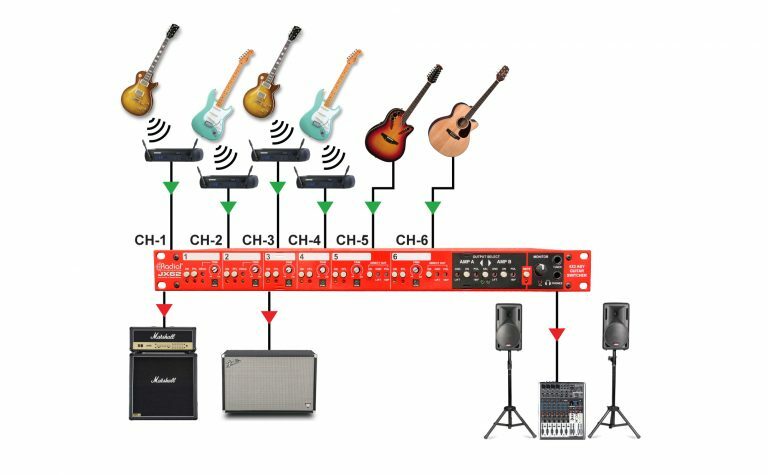 The JX62™ is a guitar and amp switcher designed for both wired and wireless guitars in a live concert touring environment, with the ability to switch between up to six instruments and two amplifiers with ease. 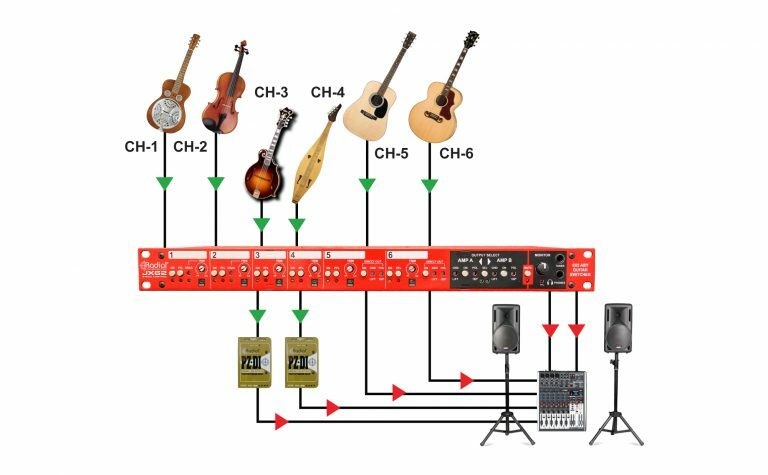 The JX62 can help tame even the most complex guitar rigs, routing multiple inputs and outputs while also providing a stage tech with a headphone output and PFL switches to silently tune instruments and monitor any input without disrupting the performance. 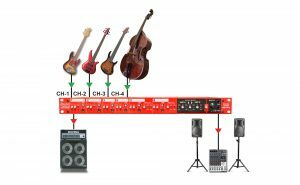 All six instrument inputs have adjustable trim controls to balance their relative levels, while channels 5 and 6 also feature direct outputs to feed the PA system, eliminating the need for external direct boxes. 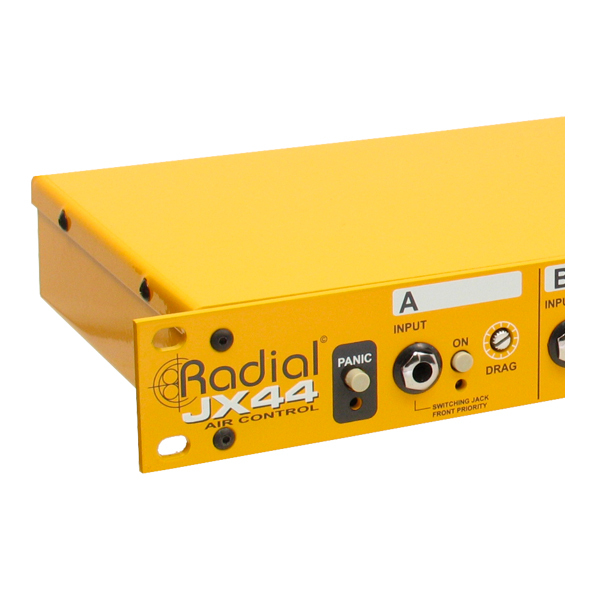 Dual amplifier outputs can be selected locally or with a remote JR-2 footswitch, with transformer isolation and ground lift switches to ensure noise free operation. 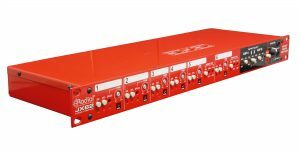 The JX62 is the ultimate instrument and amp selector for a busy rock star! 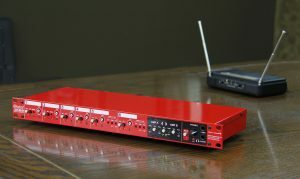 Connect four wireless guitars and then switch between two amps using the optional JR2 footswitch. Add a couple of acoustics with direct outs to the PA system. Use the JX62 to switch between your favorite electrics and an upright. Channels 5 and 6 have direct outs to feed the PA system, eliminating the need for external direct boxes. 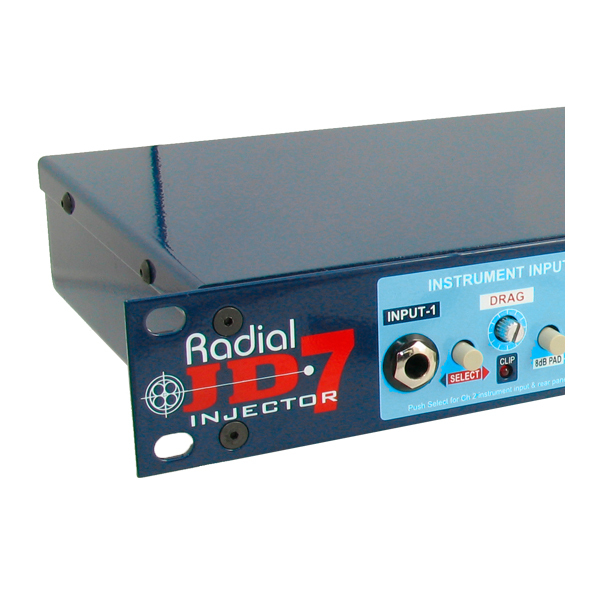 Use the optional JR2 to mute the basses when tuning or switching instruments. 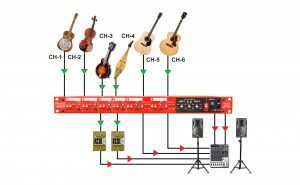 With six inputs, the JX62 makes it easy to switch between six instruments on stage. 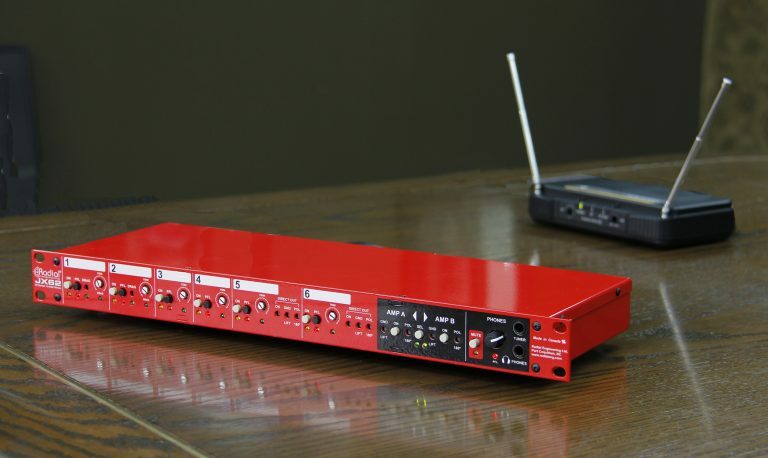 Individual trim controls let you match the signals for the perfect balance. 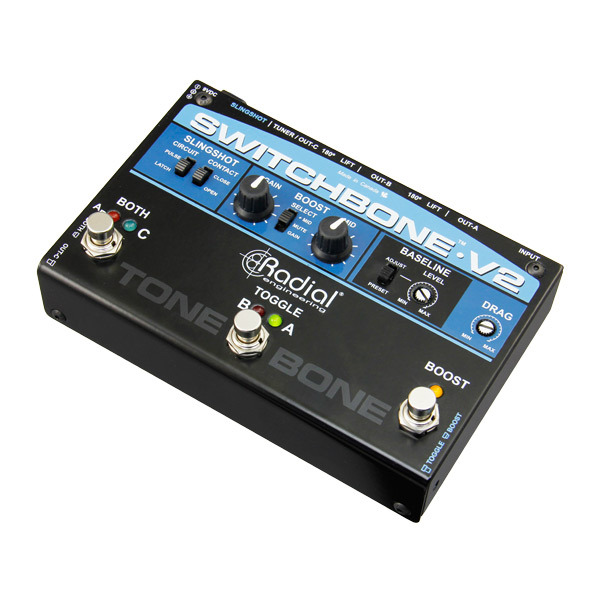 Use the direct outs with some Radial DI boxes if you have channels to spare! 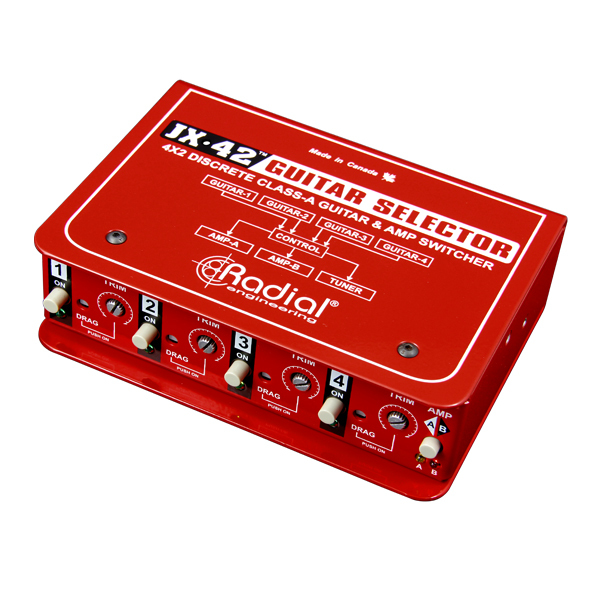 The JX-42 is a compact guitar selector that lets you instantly switch between four guitars and two amps on stage. 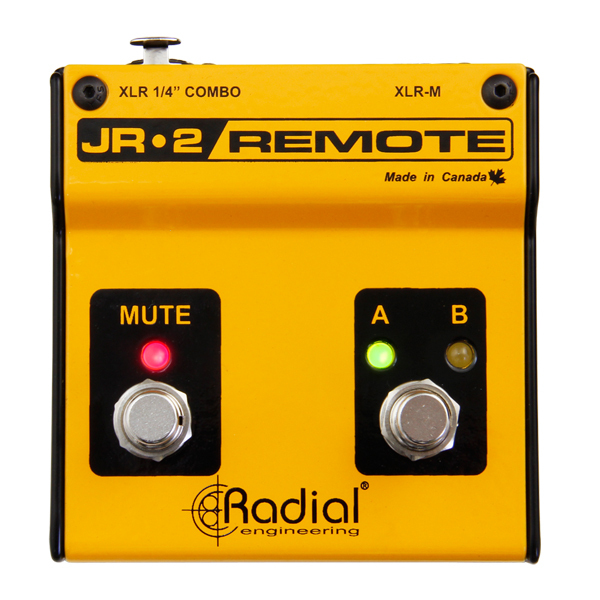 The Radial JR-2 is an innovative remote control that is equipped with two footswitches - designated as MUTE and AB select.